If you fancy yourself as a true Renaissance person, you'd have a hard time finding better period footwear than these shoes. They have a classic style that fits a variety of medieval and historical looks. 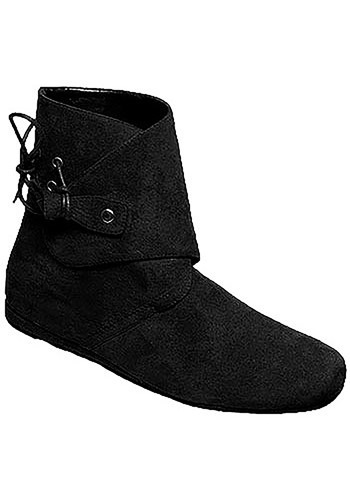 They'll fit perfectly with your costume choice and give you the style of a peasant, nobleman, or even a righteous bandit. And the best part? You can wear them on your feet! The rank and file soldiers were the key to The Crusades, why else were their campaigns so successful? Don't let yourself go down in history as a failure, add this helmet to your knight costume, and head off with your brothers in arms to fight a mighty campaign! When the Black Death was devastating the population of Europe in the 14th century, doctors didn't have modern hazmat suits. So they tried to protect themselves as best they could, and came up with something like this Adult Plague Doctor Peste Costume. We don't recommend using it as a substitute for a hazmat suit if you're exposed to a nasty disease, but it's a great remedy for a boring costume party! Do you consider yourself a Renaissance man but find yourself frustrated with the fact that no one seems to notice this quality about you. With a pair of adult Renaissance boots you can wear your personality as part of your wardrobe. 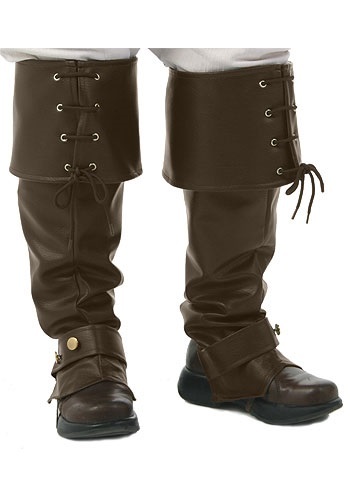 Wearing these boots with one of our authentic Renaissance costumes will look even better. 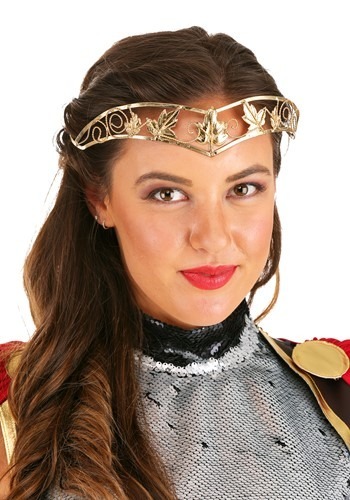 Wear the Antique Gold Leaf Circlet as though you were a real goddess. There is nothing that sexier than a woman who knows she's strong, powerful, and beautiful. Stay flawless you goddess you! Why face the ridicule of wearing 21st century footwear with your 16th century clothing? 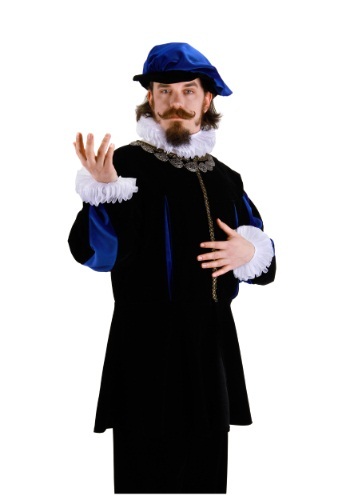 Wear a pair of men's black Renaissance shoes with your costume and that way you can be sure that if someone is going to tease you, it won't be because of your shoes. 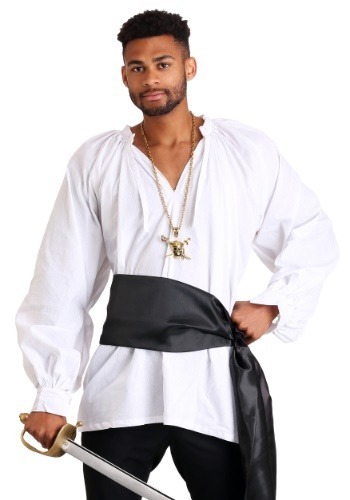 You'll be the most stylish gent at the Renaissance fair with this Black Satin Sash. It's an affordable way to dress like the nobility of the day. Don't forget your sword and a pair of boots! You can't bribe this executioner with your last loaf or bread or some kind of baked good. When there is a head that needs to be chopped off, he's the guy to see. He may be little but check out those muscles! He can do some serious chopping with those biceps! 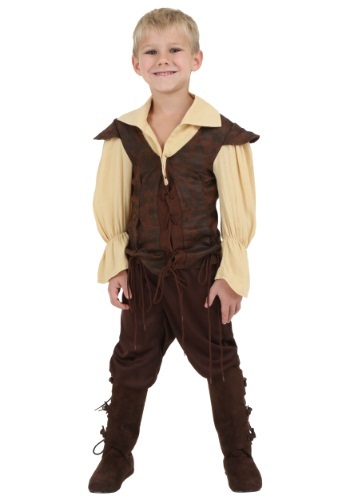 If you're planning an outing to the Renaissance Festival and your son wants to go in costume, this Child Renaissance Man Costume is a perfect solution. The style looks period-authentic (though they didn't have polyester or elastic back then). But he'll be ready to sample the turkey legs and watch the knights at the jousting. Huzzah! Charge your enemy with confidence because you know that you have chainmail protecting all your vitals. Chainmail armor got a lot of use during the medieval ages, so if you're looking to be a realistic knight, you'll be needing this handy coif. 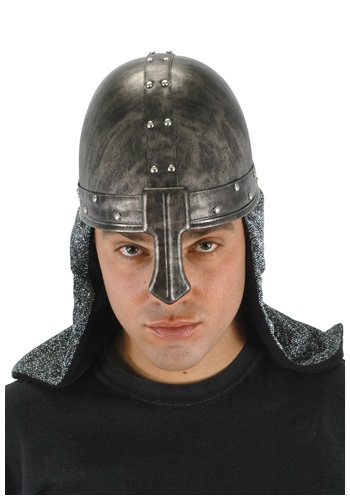 This is great for a costume or a battle reenactment. It used to be that the only way to become king was to pull out a sword that's been stuck in a stone. These days it's a little bit easier! 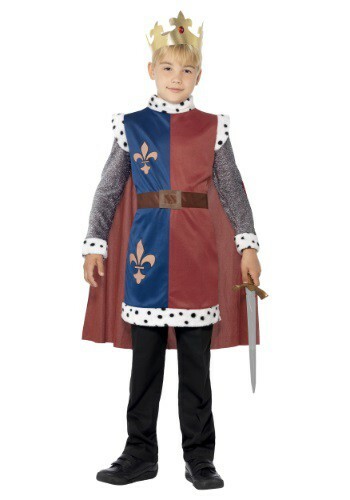 All you need to do is gear your child up in this Medieval King Arthur Tunic, get some of his friends to be his loyal knights and let him defeat an evil wizard. (You might have to pretend to be the evil wizard, but it's worth it). This Child Renaissance Peasant Costume is what a a young peasant girl might have worn on festival days. It would have been her "Sunday best" outfit. And she would have loved showing off the bright colors to her friends. Since bright colors were expensive, owning a bright dress meant her family was becoming prosperous! You might have thought your daughter was a little young to be a queen, but that was before the king was poisoned. The last Queen had to hit the road pretty quick after that! Before you know it, his brother is in line to take the Throne, and he has his eye on your girl. Congratulations!! You might be sad to see her move to the capital, but just think of how much better things are going to be when she's in charge. 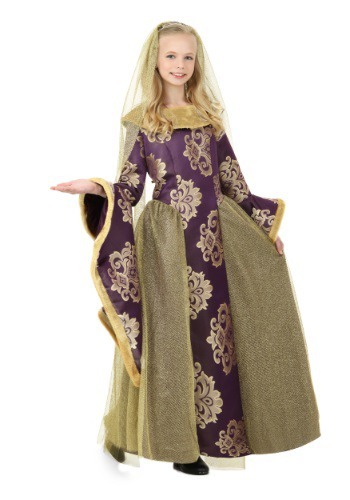 But the first step is making sure that she looks the part... so outfit her with this gorgeous Renaissance Queen costume. She'll have the regal look that any maiden in the kingdom would be envious of! What was it like to be a queen or princess back during the Renaissance era? We're not sure, but compared to the peasants, being a royal was probably amazing! We like to think that this Child Royal Renaissance Costume captures the best part of the era with its beautiful clothing and style, and certainly doesn't have any of the less pleasant elements of medieval royal life. You don't want anything to do with porpoise haggis. Just trust us on that one. Your little girl might be a little too young to be interested in finding her own Romeo, but this Lady Juliet Costume for kids comes with such an adorable look, it won't be surprising if Romeo declares his love! The Renaissance costume is based on the classic William Shakespeare character, so makes for a cute look for the fair or for any play! From the 11th to the 13th century a war broke out in Asia Minor between many different cultures and countries over restoring Christian control to the areas around Jerusalem. Only the bravest and the boldest knights, and the most devout, took part in the battles. They had to be fearless, willing to do whatever it took to drive the Saracens out of Jerusalem. Do you have what it takes to become a knight of great renown? 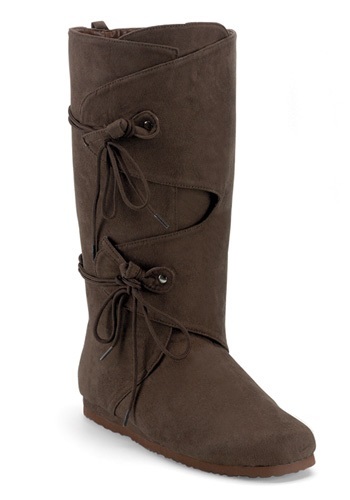 Raid, pillage, and smuggle in style with a pair of Deluxe Brown Boot Tops. The first step to piracy is a pair of fancy boots. That's right; people are more likely to forgive your devious acts if you've got some amazing footwear. This is what dreams are made of! 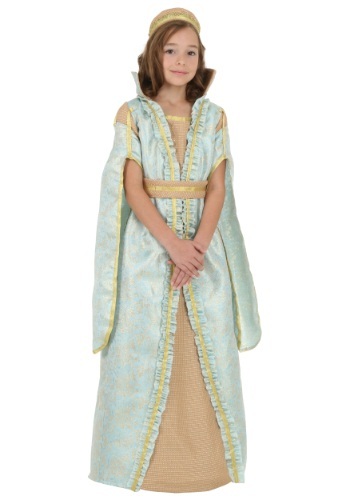 This Girls Blue Camelot Princess Costume is a gorgeous historical themed costume that girls will love to wear because of the beautiful brocade design on the sleeves and inset. Rule over the kingdom and you'll be the most stylish princess to ever rule Camelot. Will her royal highness be requesting another pony for her birthday? Will breakfast in bed be acceptable or would she prefer to be seated in the dining room? When she wears this girls Renaissance Princess costume, she might let her new royal status go to her head. Try to give her some room to explore her fantasy, not everyone gets to be a princess after all! When she's had her fun and changed back into her everyday attire, you can remind her that she still has to help around the house and that you are not going to be waiting on her! In Tudor England and young girl would have loved to wear a dress like this Girls Royal Maiden Costume! It's a style that was made popular in England by Anne Boleyn, King Henry VIII's second wife and Queen Elizabeth I's mother. Celebrate in Renaissance elegance! Bow before her majesty...or else it is off with your head! Reign over your kingdom with an iron fist while you war royal blue. 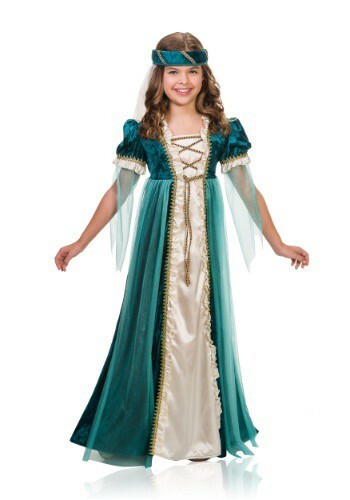 This Girls Tudor Princess Costume will have you looking and feeling like a true blue blood. Rule over your kingdom with style! This Gold Queen's Tiara will let everyone know that you are pure royalty. 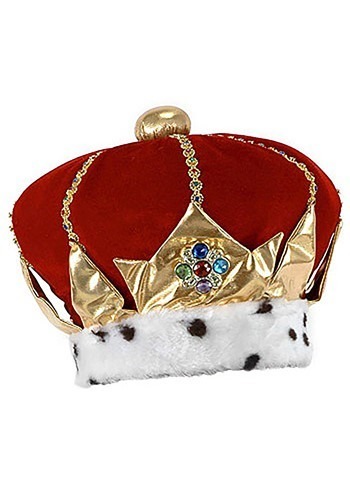 This cute crown is great for pretend play. Pick up a wand and BAM... now you are Queen of the fairies too! In the mood to be a little mysterious? This Hero and Villain Black Eye Mask will help you be incognito. 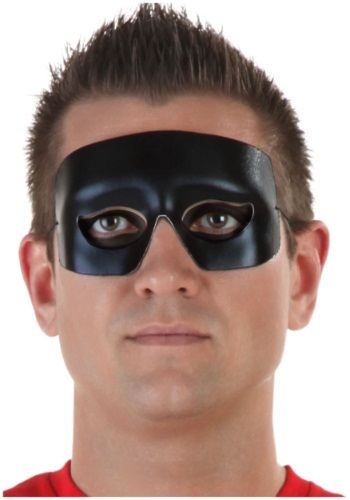 This versatile black mask goes great with a hero, villain, or lone ranger costume! Thinking about making a big step back in time? You're going to need the right shoes for that! 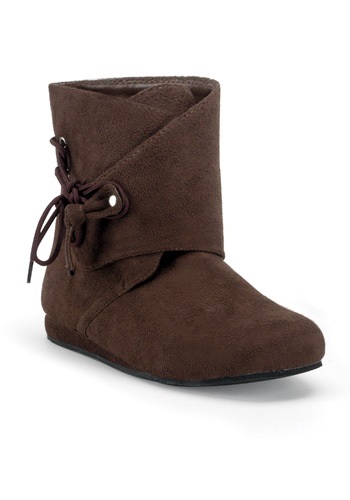 These Kid's Brown Renaissance Booties will complete any historical costume. They'll feel comfortable on your feet while you churn some butter, hunt in the woods, or rescue a fair maiden! 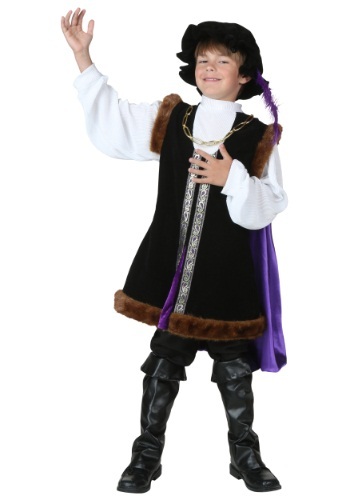 When your child gets into this Kids Christopher Columbus Costume, he'll probably go out into the neighborhood with haste and start recruiting hardy explorers willing to travel the world in search of new passages to new lands. He may start speaking with great interest and knowledge about exotic spices and known seafaring routes from Spain to India. But don't worry, unless he finds his own Nina, Pinta, and Santa Maria he'll likely be home in time for supper and forget all about Hispaniola. So you're interested in joining the knighthood? Here are a few things you should know.1.Becoming a knight takes about 14 years. 7 years as a page and 7 as a Squire. (You can become a knight a click of a button).2.Knights jousted at 60pmh (be sure to wear your Knight Helmet Hat).3.Full Plate Armour weighs about 50lbs (ours is plastic). You’ll be a heroic champion once you pair this Knight’s Shield with your medieval costume. Jousting skills, sparing, and horseback riding skills are not included. Are you tired of dragons flying around your kingdom, kidnapping your princesses and breathing fire all over your castle? Do goblins sneak around the outskirts of your village trying to steal gold from travelers. Try our newest product, sword. 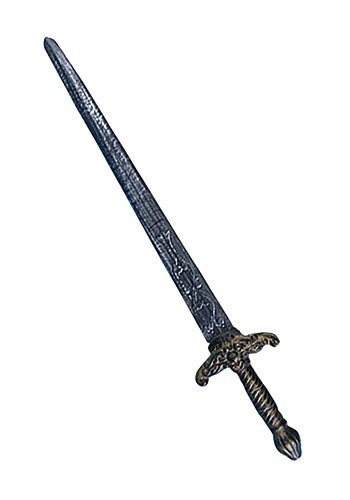 Sword makes short work of goblins, orcs, dragons and evil wizards. 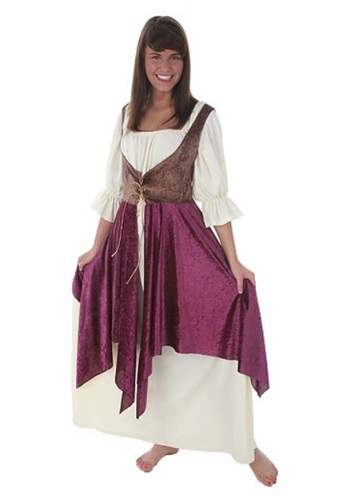 Any medieval maiden would be proud to wear this Maid Marian Costume, and Robin Hood would welcome you in it! Its rich details include faux suede corset panels and brocade ribbon trim. 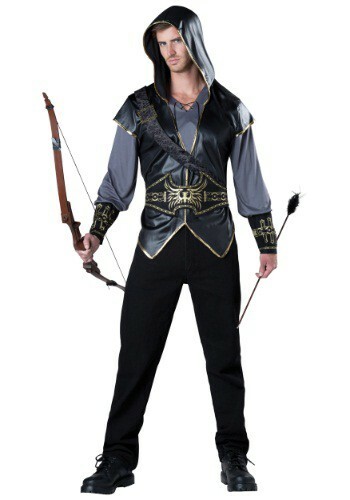 Add a bow and arrow set, and join Robin and his Merry Men in Sherwood Forest! Are you constantly getting OWNed in your LARP battles? Maybe you're a little too focused on offense. Sure, nothing feels as good as landing that finishing blow on your opponent with your trusty longsword, but that's right about the time when his barbarian buddy clobbers you with his axe. Just think about how great it would be to have something to block his attack. 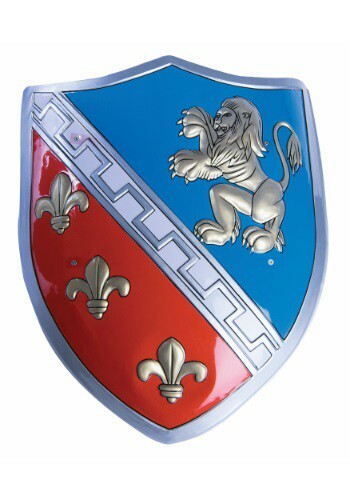 Now you can with this Medieval Foam LARP Shield! It's easy to use and is great for stopping a critical hit from ruining your LARP experience. When you're the big cheese of a whole kingdom, you need to look a cut above the common folk. Looking like a peasant just won't command the kind of respect a monarch deserves, but long lustrous brown locks will show them all that you really are better than them. When entering the castle, you will want to make sure that your sword is sheathed properly. Being a knight in a foreign kingdom can be a little bit daunting but with your trusty sword hanging at your side, any opposition will think twice about engaging you in battle. Like they say, walk softly and carry a big sword! 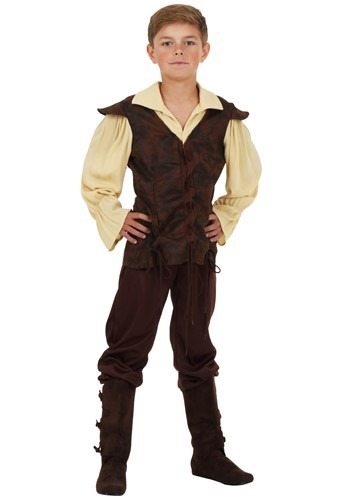 Our rustic brown shoes are a great choice for completing your Renaissance costume or scarecrow costume. They have an interesting side flap that secures with a tie so that your footwear can look authentic alongside your 16th century clothing. You want to be a leader of your new state, and the best way to rise through the ranks is to show that you're a good shot. And of course to look the part... This costume will let you have the authentic look of someone who's equally adept at hunting for dinner or fighting evil soldiers. You'll have to practice your shot, but it'll be worth the effort to win the hearts of your fellow warriors! There's just something about a man in a nice coat. You could choose to wear this Men's Renaissance Coat while you're off camping and exploring the wilderness or you could wear it to a 5 star restaurant. Or you could just wear it as a costume! With the kind of historical look that will have you fitting in with a Renaissance theme, or for a night out at the steakhouse, it's the versatile and suave look you can rely on, no matter what the occasion! 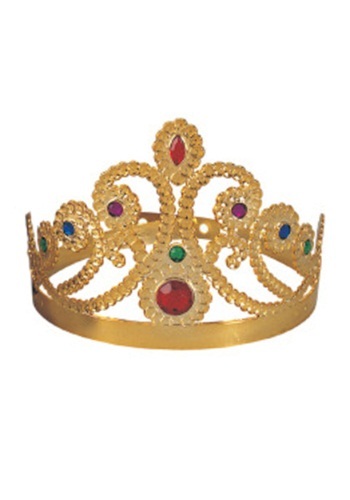 This Queen Headband is a great way to top off your royal Renaissance costume. It's shiny metallic gold fabric is studded with faux gems of many colors, so it will match almost any outfit. Get ready to rule over your Halloween event! This Red Renaissance Sash is one of many affordable Renaissance accessories we carry for your trip to the fair. 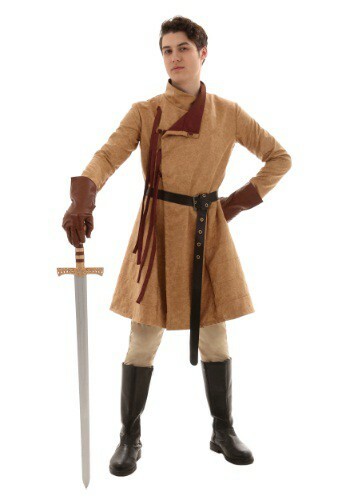 Be sure to browse our collection of swords, boots and hats. It's so easy to create the costume of your dreams. Commoners will bow at your feet once you’ve dubbed yourself king of the world! Actually the Red Royal King Hat won’t give you such powers but it’s good to pretend right? But only pretend, you don't want to cause a lawsuit. 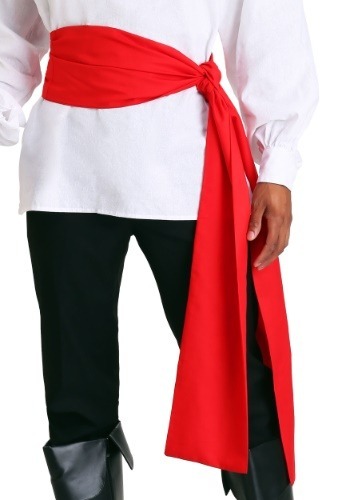 Need to make your renaissance costume look a bit more...fancy? 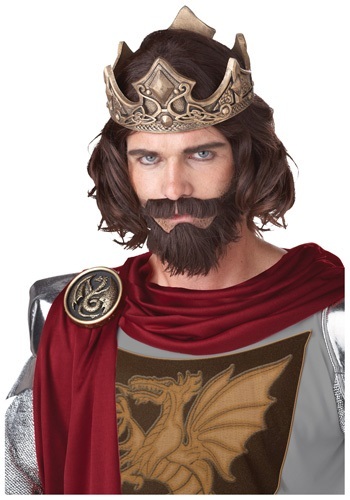 Adding this Renaissance Collar and Cuff Set will make your costume look more refined and regal. Did you know that during the Renaissance, women would dye their hair blonde or wear wigs to look like Queen Elizabeth? 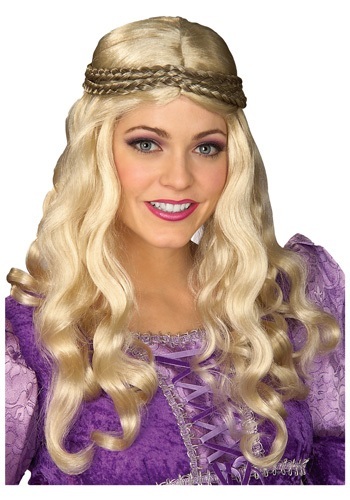 You'll be the epitome of Renaissance beauty with this Renaissance Woman Blonde Wig. (And you won't have to worry about doing all that difficult braiding by yourself either)! 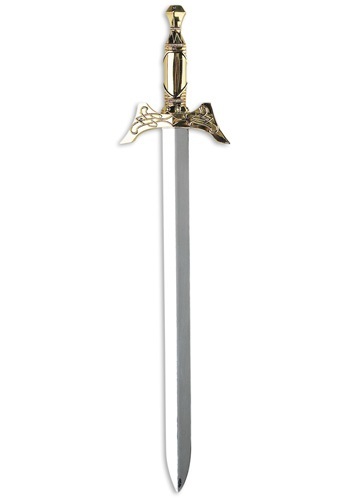 When the moment arises for you to defend yourself and country, be prepared with this sword. The blade is a tarnished silver color and the gold handle also features black accents create a worn appearance. A must have if you plan to embark on an epic adventure. There's this misconception out there that princesses have it easy because they are royalty. Boy, is that ever wrong. There is so much that you have to worry about when you're a princess. For example, what time does the ball start, what gown should you wear, and when will you find your prince charming? Luckily, this Royal Princess Costume will definitely help you out with a few of those concerns. After all, purple is the color of royalty. 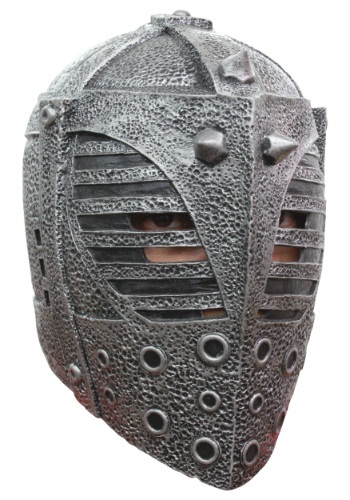 Vanquish all of your foes on the battlefield with this Armor Mask! Your opponents might have serious battle cred, but they don't fight for the red knights of the north. Known for your full cover masks, the red knights employ their horse mounted tactics to quell insurgency into their native lands. Represent your people with valor and keep your good looks intact with this great mask! 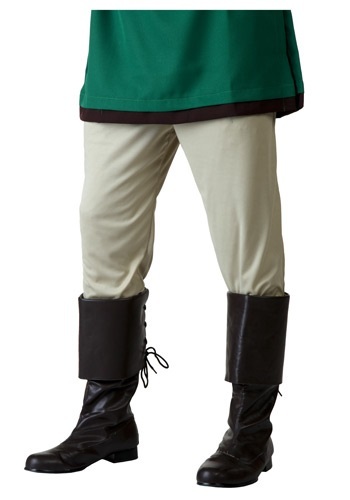 Whether you plan to become Robin Hood, Link, or whatever, these Adult Tan Pants are just what you need to complete a costume that doesn't include pants. The neutral tan color goes with almost anything! In the Renaissance, kids wore miniature versions of what their parents wore. 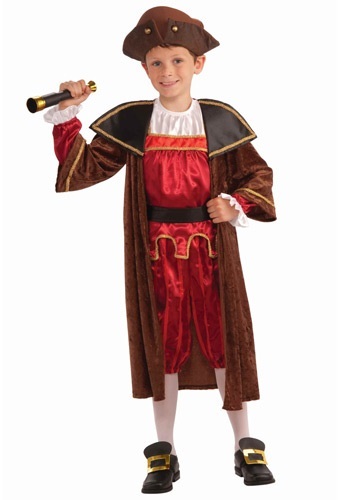 This Toddler Renaissance Man Costume is a great example of what a middle-class child might have worn. His father could be a merchant or tradesman. This is perfect to wear to any Renaissance or historical festival!